Come and join your local permaculture community to view international Permaculture in Practice through a holistic lens of a world-class permaculturalist. Experience the richness of permaculture in its many forms around the globe, while in touch with the complexity of the human landscape. Jillian Hoveyâ€™s gripping stories of life in the field, from the UK & Europe, the Middle East, Africa, and back to The Americas, will inspire what you can do here. 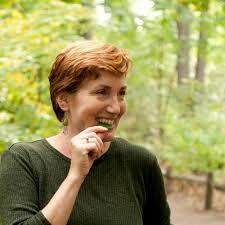 Bio: Jillian Hovey is a leading edge international practitioner of Permaculture Design with 20 years of experience. Formerly based in Canada, she travels and consults full-time, with a wide range of projects from urban balconies, to rural eco communities of hundreds of acres. Her warm, grounded, and inclusive style will both inspire you, and make you feel at home. This timely information is presented with unbridled joy and a true appreciation for gastronomic delight. Leda is a world-class forager, gardener and culinary wizard.